One of my favourite luxury brands is Chanel, just like a lot of other fashionistas out there. Last week, the world was blessed with the latest collection, which is where we took todays inspiration from. Scrolling through Vogue's archive, I picked my favourite pieces from the show. Of course and as always, tweed was present, but transformed into modern pieces. The collection has lace, silk, tweed and flowing chiffon, all in fun colourful designs. 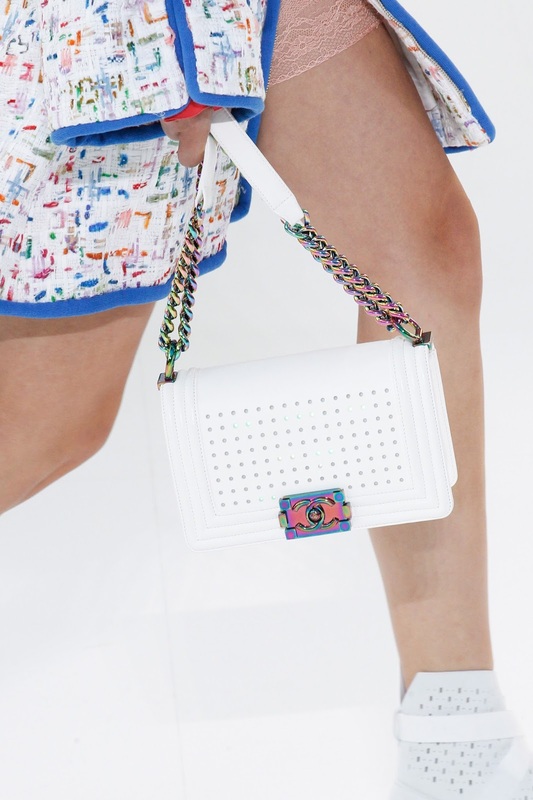 Karl Lagerfeld described the collection as being "intimate technology". I highly recommend watching the show video. What's your favourite luxury brand? Please follow me on Bloglovin, would highly appreciate it! These are all great outfits! Great inspiration!! Omg these pictures are all so beautiful. Chanel always puts on the best shows. Yes, I also think so. Lagerfeld has such a vision, creating experiences out of the Chanel shows. Carina, love the photos you chose featuring Chanel designs. Great post! So good to hear it was inspirational! Oh my ! All these outfit and accessories are beautiful. Thanks for sharing. Happy you liked the selection! Loved the post, I got so inspired for my outfits! Yes, they also inspired me! Glad you enjoyed! Everything is so pretty. :) Great post! Amazing collection and show, as always! Everything here is gorgeous. Oh my! I love Chanel..is absolute wonderful....every collection is a fashion artwork...I especially like accessories:bags and big earrings! Wow! these are really cute outfits. 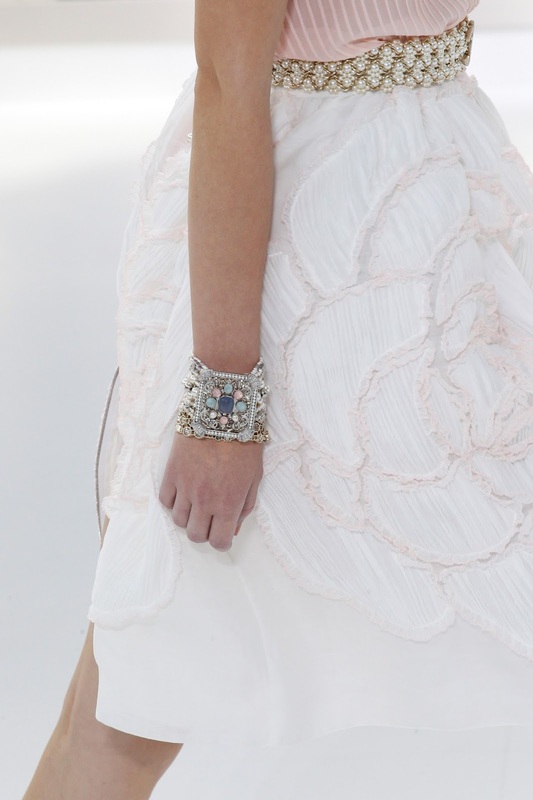 Chanel is really amazing, I love how feminine it is and timeless! I like it very much, and other brands like Dior and Marc Jacobs as well! So beautiful pictures! Hope you have a very nice week! Detail shots always make me appreciate a collection even more. This is gorgeous, thanks for sharing! I looove Chanel! Great curation of images! YES I loved this collection, all the details are amazing! wow amazing, I love everything. I like how the hat gives it a whole new swag. Simply beautiful! Thanks for sharing! Have a wonderful week! Wow! Look at those vibrant colours!! Loved this inspo post - definitely super inspiring! I have been blown away with those brights & that crispy white details (the bags are insanely beautiful!!). Thank you for sharing, sweetie! Totally love all of them! Happy Wednesday! The collection is very beautiful. I love the short white dress! 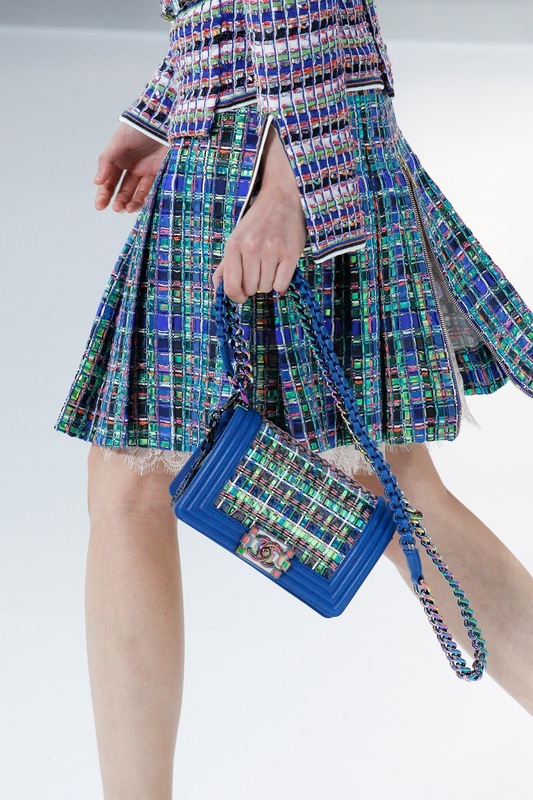 Chanel always makes a great impression, as seen recently. Particularly, I like pastel shades combos. They are fabulous! Such a great round up, I am loving all the bright colors for spring! I'd love for you to join the Fashion Frenzy Linkup today! Hope to see you there! I love so so much this Chanel collection! I must say that I personally don't really care about luxury fashion, but if I have to pick one brand, I guess it would be Prada. But I don't own any of their pieces, haha. My engagement ring is from Bulgari, maybe that counts? However, I do like the lace pieces in these photos! Thank you for stopping by my blog, and leaving me such a kind comment!